Can't wait for the new year? 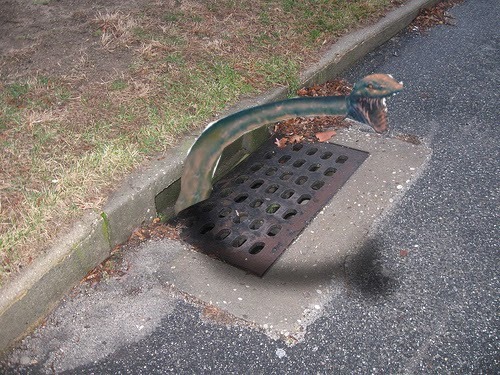 Got your heels dug into the pavement trying to avoid the New Year? I'm in the latter category thinking about all the expectations and potential disappointment that I'll suffer at the hands of my own insufficiency. 2014 I'm trying things a bit differently. I had the idea of a New Year's Eve Purge in the think tank (my shower) the other morning. I've gotten so excited about it I had to share it. A New Year's Eve Purge is the next best thing to sprinkling a supplement on your food to lose weight. The Purge is designed to reduce the stress you're building up trying to resolve to reduce your stress for the new year (say that 3 times fast)! I think it will work. So, please, give 10 Tips to a Successful New Year's Eve Purge a try! 1. Purge resolutions. Don't even think about a resolution! A resolution, broken down, is a "re"-solution meaning...you guessed it, you never get it resolved! Purge all your resolution thoughts before you have them and opt instead to set goals. Goals are measurable and attainable. You can meet 50% of a goal but you can't half-resolve anything. Things are either resolved or they're not! 2. Purge BILLS! Need I say more? Purge or pay as many as you can before the end of the year especially if they are health care charges, property taxes or anything that is a 2013 tax deduction. A couple of options to purge bills might be burning your mailbox, training your dog to keep the mailman away from your mailbox or the Joel Osteen method. 3. Purge a Dream. Book your dream trip now before the end of 2013. I know this works because I did it in 2011. Crazy yet effective. I booked a dream trip to London & Paris with a minimum deposit of $300, saved money for the next 18 months and took my dream trip in July 2013 debt-free and with spending cash! 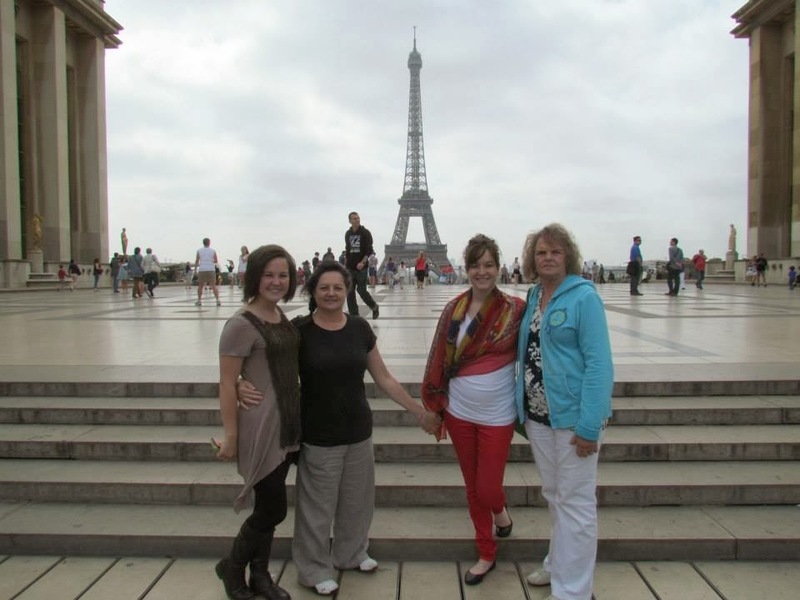 Go Ahead Tours offers perks for group coordinators. Become a group coordinator and travel free. Be sure to tell them Tammy Stafford sent ya! 5. Purge your DVR. Sit down and watch all those old recordings you've avoided all year. Oh...don't have enough hours in this year to watch all of them? Use the D.E.L.E.T.E. button. Don't laugh, your remote does have one. 6. Purge your closet. It's embarrassing but it MUST be addressed. Forget the "turning your hangers backward" trick. You know what you wear and what you don't. The answer to your question is "NO!" Your question is "I might wear that?" Not gonna happen. Donate it. 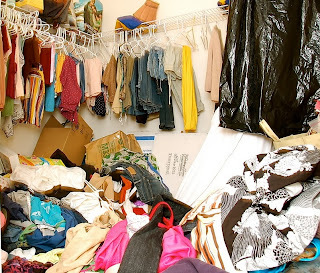 Just so you know, this is not my closet! 7. Purge your contacts list. We've all got them...people on our contacts list that we have no idea who they are, never heard of them much less contacted them. Don't be afraid to send your unknown contacts to the tomb of no retrieval. If you suddenly remember the contact you deleted is your friend's aunt's boyfriend's cousin who is personal friends with your cardiologist, don't worry 911 is a free call. 8. Purge your pill drawer. Here's to a great attitude and better health in 2014. Trust your body! Throw away those bottles that expired in 1992, 1993, 1994, 1995, 1996...you get the picture. I'm not sure of the proper way to dispose of pills. Don't flush them! You never know when all a sewer monster needs is an aspirin. 9. Purge your linen closet. Are your washcloths and towels wholly and I don't mean like Sweet Baby Jesus. We've had some of our linens since we got married in 1985 and they are threadbare and wholly! Some of them look more like bibs than something to wash your ribs! 10. Purge your refrigerator. I've saved the best for last not because we could legit eat everything in the fridge, no! Because it always reminds me of one of the 10 sexiest food scenes in a movie. I can't think of a better way to empty the fridge than by having my "Mickey Rourke" spoon feed me or drizzle me with honey. Can you? 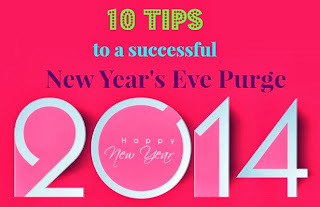 Leave me a comment with your favorite New Year's Eve purge or if you must....your resolution for 2014!